For the women out there who still wouldn’t know about the Mighty Menstrual Cup as excellent alternative to tampons, it is my pleasure to introduce it to you here. Safer, greener, cheaper, “no strings attached”. 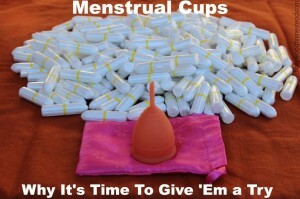 Powah periods everyone !